Sunday was day two of the 6th Annual LA Beer Week and I decided to start the day off by visiting a couple of the Torrance tasting rooms since they were not around last year. The afternoon began at Torrance’s oldest production brewery, Strand Brewing Company. It was not particularly crowded, but they did have a nice group in there; due in part to LA Craft Beer Tours bringing a group in. I had the opportunity to visit with a few people and wish Nikki good luck as she will be leaving us soon to take on a new job with Drake’s Brewing. Congratulations, Nikki. Strand Brewing Company is located at 23520 Telo Avenue in Torrance. I then headed over to The Dudes’ Brewing Company to see what has been going on there since their grand opening last week. The first thing I noticed was that they now have ample seating for everyone; to celebrate LA Beer Week The Dudes’ held raffles for beer, shirts, hats and other swag over the weekend. 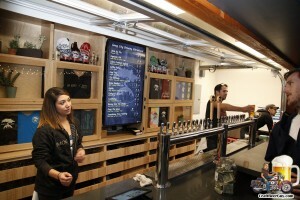 In addition to eight or nine beers on tap they also offered one on nitro and one on cask. It looks like The Dudes’ have gotten the hang of the tasting room and they should be quite successful as time goes on. 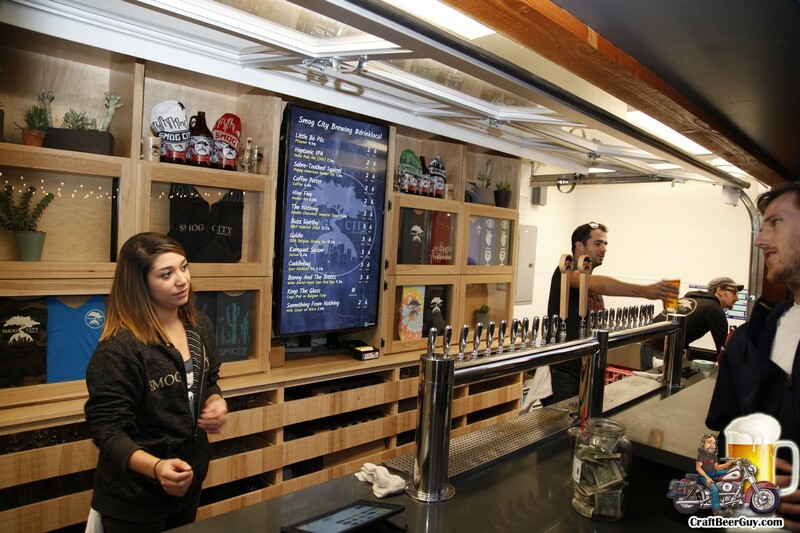 The Dudes’ Brewing Company is located at 1840 W. 208th Street in Torrance.